Since its inception in 1995, innovation and creativity have defined Ozomatli. Hailing from Los Angeles, the group found a way to represent the city's eclectic culture through music that appeals to the local community and the world beyond. Ozomatli's success is exemplified in an impressive variety of genres from classic to modern Latino, urban, hip-hop and other world styles. The "Dioses del Baile," or "Gods of Dance," have created one of the most exciting, captivating and flat-out fun live shows touring today. They continue to harness their musical instincts by conceiving new concepts and forging new sounds that keep fans on their toes and the world dancing. The latest recording is an album of classic Mexican hits reimagined with a reggae feel. Titled Non-Stop: Los Angeles ? Mexico ? Kingston, it pays homage to the band's Latin roots, allowing them to personalize songs that defined their youth and in turn, become part of Latin and Pop music lore. Produced by drum & bass reggae legends, Sly & Robbie (Bob Dylan, The Rolling Stones, Peter Tosh, Jimmy Cliff, Madonna, No Doubt) and featuring various high profile guest vocalists, the album recreates the magic of classic Latin hits with a reggae dancehall vibe that only Ozomatli could make feel as natural as waves rolling in the Caribbean sands. The album was born from the group's desire to pay tribute to the Mexican styles that influenced their youth. Originally conceived as a tribute to mariachi and Norteño, the band decided to expand the concept and include old and new artists and cover more eras all under the umbrella of reggae. Pairing reggae dancehall instrumentals with the already eclectic variety of Mexican music spoke to the band's desire to do something uniquely authentic for its 20th anniversary. The album includes classic Mexican songs such as "Sabor a Mi" and "Besame Mucho," but also songs by contemporary Mexican acts like Cafe Tacuba and Mana, Mexican-American greats like Selena, and classic legends like Santana. Ozomatli has always brought people and cultures together with their music and that is exactly what this album embodies, merging Jamaican influences with Mexican roots to lend an original Ozo sound to songs we all know. Prior to paying respects to the classic Latin catalogue, Ozomatli was creating its own repertoire adored by fans and critics alike. The band catapulted to the top of the live music scene with its first eponymously titled album. The impact of the then 10-piece band's album was felt throughout the music world, and earned them the opportunity to open for Carlos Santana on his Supernatural tour. 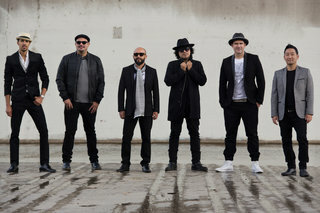 Following the success of its first album and touring with Santana and Mana, Ozomatli released its sophomore album, Embrace the Chaos, which garnered a Grammy award for Best Latin Rock/Alternative Album. The follow up album, Street Signs, won both the same award and the Latin Grammy Award for Best Alternative Music Album in 2005. Ozomatli takes firm stances on various social justice issues. Their work focuses on giving voice to Latino culture, opportunity to children, fighting for workers' rights, and promoting global unity and peace amongst people, cultures and nations. Ozomatli were named Cultural Ambassadors for the U.S. State Department in 2006, was the first musical group to speak at the TED Conference in San Francisco, and performed for President and First Lady Obama at the Congressional Hispanic Caucus Institute's 32nd Annual Award Gala. In addition to politics and social issues, Ozomatli emphasizes the importance of family and children. 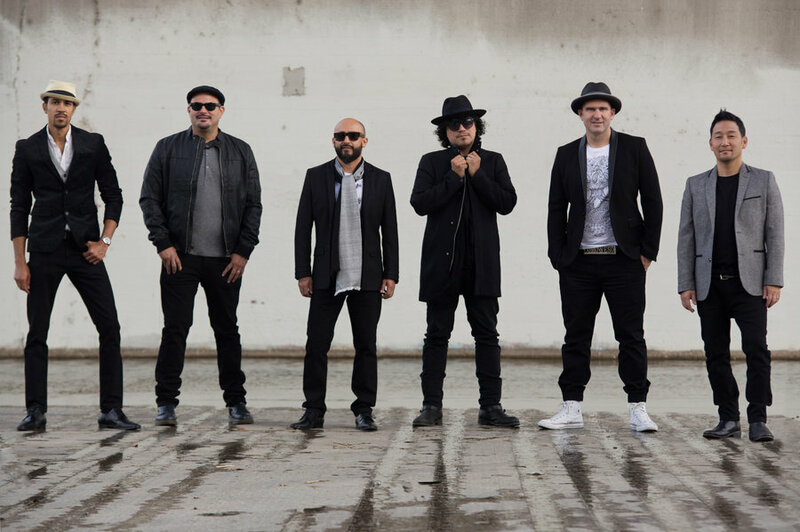 Ozomatli has strived to make music to be shared through the generations and have even recorded music specifically targeted towards children and families. Their 2012 release, Ozomatli Presents OzoKidz, features all original children's music that captures the innovation and liveliness that Ozo fans have become accustomed to, while educating children on the values of nature and knowledge. The band continues to perform the album at special OzoKidz concerts, where parents and children alike dance and play along on OzoKidz kazoos.